The recent letter of Patriarch Bartholomew to Archbishop Anastasios of Albania is a remarkably revealing document, not only for its candid expression of the Patriarchate of Constantinople’s ecclesiology, but also for the insight it gives into the patriarchate’s internal discourse and the historical touchstones of its self-understanding. It is striking that most of the examples and quotations that the letter cites to illustrate the “Throne of Constantine[‘s …] universally recognized hallowed and dread responsibilities that transcend borders” date from the Ottoman period, to a degree that one might be tempted to suggest that the “Throne of Mehmet” might be a more apt sobriquet. This period of the Church’s history, when the churches of the Middle East and the Balkans were greatly weakened was, notwithstanding its own hardships and persecutions, a time of opportunity for the Ecumenical Patriarchate, when its proximity to the sultan allowed it to gain unprecedented authority over most of the other Orthodox churches. And it should be pointed out that in practice, the Ottoman era began for the the Ecumenical Patriarchate well before 1453. Already in 1393, as Ottoman armies swept through the Balkans bypassing Constantinople, the Bulgarian Patriarchate of Tarnovo was suppressed and its territory given to the Ecumenical Patriarchate by Sultan Bayezid I. 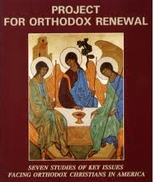 The unique circumstances of the Ottoman period—severe restrictions placed on the exercise of normal ecclesiastical life coupled with Constantinople’s unprecedented direct and indirect control over churches finding themselves in even more dire straits—led to what could be termed (borrowing from Fr Georges Florovsky’s description of the “Western captivity” of Russian theology) an ecclesiological “pseudomorphosis.” As Florovsky explains the concept, “Form shapes substance, and if an unsuitable form does not distort substance, it prevents its natural growth.” In the case of the ecclesiology, the unnatural form of church-state and inter-church relations distorted the substance of the Orthodox teaching and practice of primacy and conciliarity, where the role of the Ecumenical Patriarch and his curia of bishops residing in the capital was greatly exaggerated and the fundamental truth of the equality of all bishops and their conciliarity under one head, Jesus Christ, was forgotten. This can be seen in the heavily Ottoman-inflected rhetoric of the Ecumenical Patriarchate today, where the ecclesiological pseudomorphosis lives on under the restrictive circumstances of modern Turkey, as expressed by the Patriarchate’s desire to be seen as the “Great Church,” exercising its “supervisory provision and protection” over the other churches. The history of the Ecumenical Patriarchate under the Ottomans was characterized by a bewildering institutional instability that belies Patriarch Bartholomew’s claim that, “At the Phanar, we preach the genuine inheritance of ecclesiology because we draw from the wellspring of our Fathers and not from self-interest or other trivial motivations and political expediencies.” In fact, it was precisely the “self-interest and trivial motivations” of Phanariot clergy that led to a revolving door of patriarchs where,in the 442 years between 1453 and 1895, the patriarchate changed hands 157 times between 105 men. This is due to an institutional culture in which “intrigue, simony, and corruption dominated the higher administration of the Church” caused by the fact that every office in the church was permanently up for sale by the Turkish authorities who found eager buyers among ambitious and unscrupulous Greek clergy. The Authority which they thus obtain by Simony, they maintain by Tyranny: For as soon as they are promoted, they send to all their Bishops, to contribute to the Sum they have disbursed for their Preferment, and such as deny, they depose and send others to their Charge. Again, the Bishops send to their inferior Clergy; who are forced to do the same to the poor People, or to spare it out of their Wives and Children’s Mouths. But many times they engage for more, than they can perform; and bring the Church so much in debt to the Turk, that its Ruin is daily threatened thereby; which, without God’s great mercy uphold it, cannot long subsist. It is risible that the Ecumenical Patriarchate, an institution whose offices were long the object of barter and whose bishops were notorious for treating their position as a business opportunity, could claim that it alone among the Orthodox churches has preserved an authentic ecclesiological consciousness. Of course, the Church of Constantinople was not the only one to suffer under the Ottomans and in the provinces the situation was often worse. Lacking the population of wealthy Christian merchants that existed in Constantinople, churches elsewhere were reduced to penury and beset with their own destabilizing fractiousness. Patriarch Bartholomew’s claims that Constantinople’s interventions in other local churches were acts of “self-sacrifice” can only elicit a grimace of bitter irony from those familiar with the history of Orthodoxy in the Middle East and the Balkans. 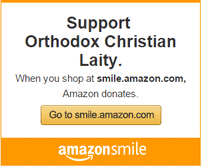 The price paid by the Orthodox Church for its subjugation to its Phanariot benefactors was heavy. First, it meant that the Church was run more and more in the interests of the Greek people and not of Orthodoxy as a whole. […] The policy [of imposing Greek hierarchs and clergy on the churches of the Balkans]defeated its own ends. 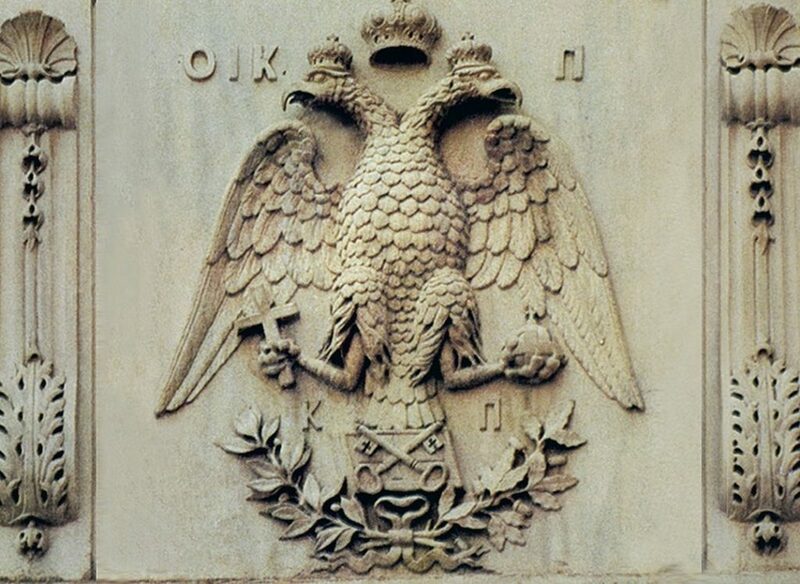 It caused so much resentment that when the time came neither the Serbs nor the Bulgarians would cooperate in any Greek-directed move towards independence; and even the Roumanians held back. None of them had any wish to substitute Greek for Turkish political rule, having experienced Greek religious rule. From the inception of Ottoman rule in Syria the ecumenical patriarch was established as the sole channel of communication between the Antiochian patriarchate and the Ottoman central government and, subject only to the latter’s discretion, the final arbiter of its civil and ecclesiastical affairs. Had the enormous power wielded by the ecumenical see as a department of the Ottoman central administration been intelligently and decently employed in the sixteenth and seventeenth centuries, the effect on the Melkites [i.e., the Orthodox] of Syria might have been salutary. But, for reasons which cannot detain us here, the Great Church in this period was not characterized by a particularly high degree of either integrity or stability. And until Greek prelates designated by Constantinople assumed, in the course of the eighteenth century, direct control over the Syrian see, the Greek Church played something resembling the role of well-paid but dishonest broker between contending factions at Antioch. Much as in the Balkans, the chauvinism, corruption and mismanagement of Greek clergy proved to be a catalyst for the development of Arab nationalism, which began not among the Muslims of Syria, but the Orthodox. When the Holy Synod of Antioch finally after over 150 years elected a local Arab, Meletios al-Doumani, as patriarch in 1898, the Ecumenical Patriarchate did not respond in the loving and self-sacrificial manner that Patriarch Bartholomew vaunts, but rather petulantly, refusing to add his name to the diptychs and suspending normal relations with Antioch until after his death. It is evident in Patriarch Bartholomew’s letter to Archbishop Anastasios that the current ecclesiological crisis in Orthodoxy is also a conflict between incompatible collective memories. Where the Patriarchate of Constantinople looks upon its Ottoman past as the story of a mother selflessly and sacrificially caring for her children, both the churches subject to this care and most modern western historians view Constantinople’s activity in this period as that of a corrupt and exploitative colonial interloper. Thanks to pressure from the western powers, the Ecumenical Patriarchate managed to survive when its Sunni Muslim coeval, the Ottoman caliphate was abolished in 1924. Existing as it does today, this last surviving Ottoman institution perpetuates a pseudomorphosis of ecclesiology that has prevented Orthodoxy from growing into an authentic expression of the Church’s life in the present, free from both nationalism and nostalgia for empire.